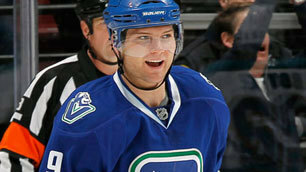 A late surge and clutch performance from Cody Hodgson gives the Canucks the edge over the Sharks in an afternoon affair. Cody Hodgson netted a late third period goal – his second of the game – to lift the Canucks to 4-3 victory over the San Jose Sharks Saturday afternoon at Rogers Arena. Proving a few days off in between games was just what Vancouver needed, a fully charged Canucks squad hit the ice to host the Sharks in their fourth and final match-up of the season. Fans were still filing into the stadium when David Booth opened scoring, tipping an Alex Edler blast from the point past Antti Niemi at 1:06 in the first period to give the Canucks the start they were looking for. The goal was Booth's seventh of the year and second since returning from a knee injury two games ago. Logan Couture countered with a shorthanded marker to tie it up heading into the second. The teams traded goals again in the middle frame. Couture struck first just over a minute in, but Hodgson wasted no time evening the game at 2-2 with a beautiful backhander. Following the goals, the pace of the second slowed a bit but the Canucks continued pressing, out-shooting the Sharks 22-14 in the first 40 minutes. With the final seconds ticking down Keith Ballard took the momentum into his own hands. Literally. 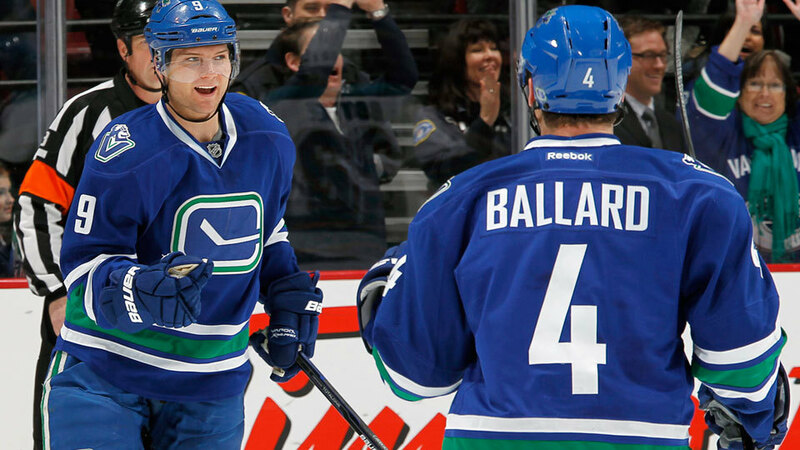 Ending the second period with a burst of physicality, Ballard dropped gloves with Joe Pavelski – his second fight in as many games – coming out on top and giving the Canucks a boost of energy heading into the final frame. 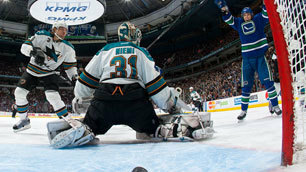 They came out determined but despite generating chances the Canucks couldn't solve Niemi for that go ahead goal. At least until the 14:11 mark when the goals came fast and furious. In the action packed final minutes of the game the teams combined for three goals in 1:32 minutes. Ryan Kesler kicked it off, beating the Sharks netminder on an odd man rush with a high glove shot. While the goal was still being announced Dan Boyle tied it up. Even at 3-3 late in the third period the stage was set for Hodgson to save the day. With just over four minutes left to play, Hodgson banked a shot from behind the goal line off Niemi and in. The goal stood as the game winner, marked his first two-goal game of his NHL career, and put the Canucks back on the winning track. Following the win Hodgson's teammates were quick to praise the rookie. Rounding out the team effort was the play of Luongo. Although he wasn't tested much by San Jose early, facing just five shots in the first, he finished the night with 23 saves, pulling out some big stops in the third to earn the win. Between the pipes for his fourth consecutive game Luongo earned his 212th win as a Canuck, moving him past Kirk McLean to take over the franchise record.